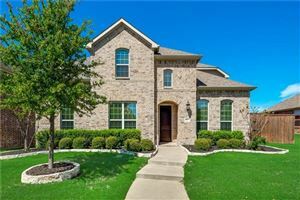 Frisco is a highly desired area in the Dallas metroplex. It has award winning schools, newer homes, and tons of amenities and businesses. There are so many choices for convenient grocery shopping, including Tom Thumb, Sprouts, Kroger, Walmart, Sams, Aldi, and Market Street. Stonebriar mall is a popular place to go shopping, but all around the mall in the shopping centers off Preston Road are all kinds of strip malls, boutiques, and furniture stores. It has many sports centers and parks, and is a great place to have a family. Frisco ISD is one of the top school districts in the DFW, and offers many programs and opportunities to its students. Frisco is located near many corporate head quarters and is located near the DNT and 121 Tollway. Preston road runs right through the center of Frisco and the city runs all the way up to highway 380 and down to 121.